Prior to running my first marathon, my first half-marathon was in Camberley in Surrey, back in 1999. I had trained well and was ready for it. I ran the first 3 miles 2 minutes per mile faster than my race plan was supposed to. Just before mile 4, certain that my head was going to explode, I had to stop and walk. I virtually crawled the rest of the race, came very low down the field, and was overtaken by lots of grey haired people and lots of fun runners in the final mile. It was a major learning curve for me. Put simply, I went off far too fast. There were lessons to be learnt about pacing. There were also valuable lessons to be learnt about maintaining my own optimum state and level of intensity prior to races. It is learning to control intensity that I am writing about today. You see, I was far, far too pumped up at the start of the race, and my excitement made me keep on pushing hard and fast in those early miles. I had what is often referred to as ‘overintensity’. When we look at a runner’s level of intensity, also often referred to as arousal, anxiety level or even nervousness (intensity is far more progressive) then when we get it right, it can help us feel confident, motivated, strong and sharp (Carver & Sheier, 1986). However, at the other end of the spectrum, overintensity can lead to a runner feeling fearful, filled with dread with muscular tension, poor breathing rate and even loss of coordination (Eysenck & Calvo, 1992). Intensity can manifest itself physiologically, behaviourally and psychologically (Hanin, 2000; Jones, 1995; Kerr, 1997) and I was displaying overintensity physically, mentally and behaviourally – I was thinking fast and ignoring my race plan and prior training. I was running fast due to the overstimulation and I was overtaking runners in those early miles because I wanted to get ahead. These are typical symptoms but can also include muscle tension, breathing issues and perspiration to excess as well as fatigue, loss of coordination and tense body language. As well as unduly positive and unrealistic cognitions that I had, sometimes overintensity can lead to negative internal dialogue, doubt, stressful thoughts, irrational thinking and lack of belief, even leading to fear and other negative emotions (Elkow & Ostrow, 1991; Hamilton & Fremouw, 1985). Even subtle signs such as butterflies in the stomach, being easily distracted, or having slight doubts could be signs of overintensity. On top of this, races and new training environments can cause issues with overintensity if the runner is unfamiliar with the surroundings, the situation, or if unexpected events occur, or if there is any kind of uncertainty stimulated by the environment. 1. The demands of the situation (in my case, it was an important first ever half marathon race). 2. 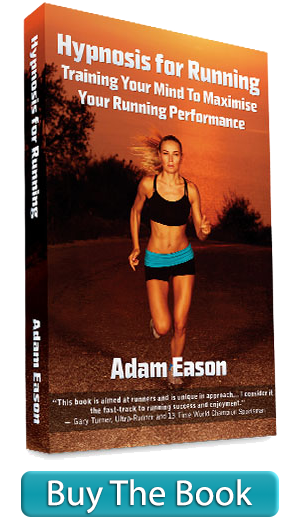 The individual’s resources for effectively managing those demands (I had not run a half-marathon before and was inexperienced and ill-prepared for dealing with it). 3. The consequences of the situation (for me, it was that if I ran well here, I’d feel capable of running a marathon in the future, and not doing well would result in me believing I was not capable of such). 4. The meaning placed on the consequences (I ran poorly, and thus this meant I doubted my ability to ever run a marathon or be able to run a good half-marathon in the future. Maybe ‘running was not for me’ was a sentiment that echoed in my head). 5. Recognition of bodily reactions (as mentioned previously, knowing the signs of overintensity on a physical, psychological and behavioural level). Sometimes when an individual lacks confidence, the race environment or the tough training session can be perceived as a threat due to the lack in confidence which in turn can lead to anxiety and overintensity (Weinburg & Gould, 1999). There are other social causes of overintensity too; if you are raising money for charity, you have expectation placed upon you from various sources, as well as colleagues, family members, friends and so on; all of which can place pressure upon a runner if they feel they are not living up to socially derived expectations, again potentially threatening their confidence (Krohne, 1980; Passer, 1982; Smith, Smoll & Curtis, 1978). By looking at and exploring rationally the five areas above in relation to a race or particular training session, we can have a balanced, correct perspective. The key is to evaluate the event in an objective fashion and to question any irrational thoughts you may have. Learning to seek out realistic perspective using socratic questioning is one way to do this. If we are catastrophising about our running performance, for example “I am not going to finish” or “I am going to let everyone down” or “I am really scared” or “I know I will fail” and other self-talk statements of this kind, then we need to equip ourselves with skills to interrupt, dispute and let go of those thoughts, while replacing them with balanced, helpful and supportive internal dialogue. Golfers get to play and practice on a competition course before the tournament, racing drivers practice for a couple of days before qualifying on each track, and even Mo Farah ran half of London marathon in 2013 to familiarize himself with procedings and atmosphere prior to running the full London marathon in 2014. Lacking knowledge of the environment and lacking certainty can create overintensity. Familiarising onself with the environment of race or run, or researching it and developing as much of a correct expectation as possible is going to help greatly here. Race preparation can never be too thorough. In addition to understanding and knowing about the physical environment, it is also wise to set up contingency plans for potential ‘unexpected events’ so you feel as prepared as possible for eventualities before and during races. You might write down and examine things that could potentially go wrong in a race and work out how you plan to deal with it – then, if it occurs, it will lead to less anxiety and stress (and thus, less intensity) so that we can respond appropriately. Knowledge of problem solving therapy protocols can even be researched here. Runners can sometimes worry about things, which may well never happen. Not only is this stressful, it is pointless. Becoming aware of what you can be n control of and knowing how to be in control of it is key. Then knowing what is out of your control and therefore not to let it be a problem is also key. We can control our own behaviour, physical condition, motivation, thoughts, preparation and performance. We cannot control other people’s behaviour’s, attitudes or thoughts, we cannot control the performance of others or the weather, or the organization of the event, etc. In addition to these cognitive strategies (and there are many more available in my book or here at this website) there are other basic tools for regulating intensity before and during a race or training run scenario. Firstly, you can use your breathing. Prior to races, there are lots of runners that seem to have fast, erratic breathing patterns as they jump up and down at the start and flitter around in a distracted, nervy fashion. With overintensity, breathing can become shallow leaving the runner without enough oxygen to perform as they wish. Likewise, erratic breathing can contribute to butterflies in the tummy. Learning how to breathe in a slow, deliberate and deep manner becomes a skill that will serve you very well indeed. Additionally, the focus of mindful breathing can stop the thoughts resting upon negativity too. Step One: Adopt a still and comfortable posture. Step Two: Imagine you have plugs on the soles of your feet and that by opening them, you can start to drain out all the unnecessary tension that is not serving you well. Move your awareness through your entire body, starting at the top of your head and working your way downwards through your body. You need to spend time imagining each muscle group (i.e. neck, shoulders, chest, back, tummy, arms, upper legs, lower legs, feet) and work your way through it with your imagination. You might imagine the tension as a specific colour and that the appropriately relaxed areas are left in a relaxed colour. You might imagine it has a sound that leaves the body, or any other process that aids you mobilising unwanted tension. I often imagine the tension is like sand pouring out through a timer, but you can choose any accompanying imagery that suits you and helps you be free to let go of unwanted tension. Once you have worked your way through the entire body, move on to the next step. Step Three: Scan through your body and check for any excess tension anywhere and move it downwards and out of the feet if any is found. Step Four: Close the plugs on your feet making sure that none of it (the tension) can get back in. Use some encouraging and supportive cognitions “I am more relaxed” or “I feel prepared” or “I am at my most comfortable for racing” etc. Additionally, you can learn self-hypnosis. I would say that, wouldn’t I? This blog has lots of ways to do that, as does my book and other audio programmes found at my main online hypnosis store. Finally, there is evidence to suggest that smiling helps to lessen tension and overintensity. Most people associate smiling with happiness and feeling good and so it becomes associated with such. Smiling also changes blood flow to the brain and helps induce a relaxing effect by inducing neurochemicals (Zajonc, 1985) and also, if the body is smiling, it finds it difficult to maintain an opposing emotion, such as tension. There you go, you now need never suffer from overintensity as I did back in the 1990s! Next here at the hypnosis for running blog, I am going to talk about ‘underintensity’ and how to cope with that. Then we’ll examine how we go about identifying and achieving the right level of intensity for us to perform at our best. Carver, C. S., & Sheier, M. F. (1986) Functional and dysfunctional response to anxiety: The interaction between expectancies and self-focused attention. In R. Schwartz (Ed. ), Self-related cognitions in anxiety and motivation (pp. 111-141). Hillsdale, NJ: Erlbaum. Elko, P. K., & Ostrow, A. C. (1991) Effects of a rational-emotive education program on heightened anxiety levels of female collegiate gymnasts. The Sport Psychologist, 5, 235-255. Eysenck, M. W., & Calvo, M. S. (1992) Anxiety and Performance: The Processing Efficiency Theory. Cognition and Emotion, 6, 409-434. Hamilton, S. A., & Fremouw, W. J. (1985) Cognitive behavioral training for college basketball free-throw performance. Cognitive Therapy and Research, 9, 479-483. Hanin, Y. L. (2000) A study of anxiety in sports. In W. F. Straub (Ed. ), Sport psychology: An analysis of athlete behavior (pp. 236-249). Ithaca, NY: Mouvement. Jones, G. (1995) Competitive anxiety in sport. In J. H. Biddle (Ed. ), European perspectives on exercise and sport psychology (pp. 128-153). Leeds, UK: Human Kinetics. Kerr, J. H. (1997) Anxiety, arousal and sport performance: An application of reversal theory. In D. Hackfort & C. C. Spielberger (Eds. ), Anxiety in sports: An international perspective (pp. 137-151). New York: Hemisphere. Krohne, H. W. (1980) parental child-rearing behavior and the development of anxiety and coping strategies in children. In I. G. Sarason & C. D. Spielberger (Eds. ), Stress and anxiety (Vol. 7, pp. 243-272). Washington, DC: Hemisphere. Landers, D. M., & Boutcher, S. H. (1986) Arousal-performance relationships. In J. M. Williams (Ed. ), Applied sport psychology: Personal growth to peak performance (pp. 163-184). Palo Alto, CA: Mayfield. Passer, M. W. (1982) Psychological stress in youth sports. In R. A. Magill, M. J. Ash, & F. L. Smoll (Eds. ), Children in sport (2nd ed., pp. 153-177). Champaign, IL: Human Kinetics. Smith, R. E., Smoll, F. L., & Curtis, B. (1978) Coaching behaviors in Little League baseball. In F. L. Smoll & R. E. Smith (Eds. ), Psychological perspectives in youth sports (pp. 173-201). Washington, DC: Hemisphere. Weinburg, R. S., & Gould, D. (1999) Foundations of sports and exercise psychology. Champaign, IL: Human Kinetics. Zajonc, R. B. (1985) Emotion and facial efference: A theory reclaimed. Science, 228, 15-21.